I was going through some chow information yesterday and I came across one article that said that the average life span of the chow was 15 years. While I think that is wonderful (15 years is older than most dogs) I'm not sure how realistic it is. Kylee is nearly 15 and she's the oldest dog I've ever had. She still seems to be going strong (other than her recent vestibular problem, which shouldn't be life-threatening). But I don't really expect her to be around for a long time at this point. To consider an "average" age to be 15 years means that some must live much longer in order to balance out those who die younger. You just don't see that many dogs in their upper teen years. When I was on a chow email list that was mostly show dogs and breeders, there were some whose lines tended to die off much younger. Some were losing theirs at 8-9 years old! That seems so young. Dora will be 9 in September. She still seems pretty young and spry. Kylee was still running in agility at nearly 13 years old. I think that if I had a line of chows that tended to die at 8-9 years old, I'd quit breeding them. So what have you heard when it comes to the length of chow lives? I've heard mixed reviews. 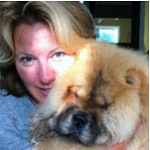 If the chow has had a softer life, ie: indoor dog, well taken care of, groomed, vet visits - then the dog will live well into their teens. But I've also heard of well taken care of chows going at young ages due to circumstances beyond the owners control. It would be a nice thought that Rogan is only about 60% through his life. (He's 8 1/2) Especially since we know Nina won't see 10. (She's already outlived every rottie with her condition as it is.) But I'm just grateful for every day we have with both of them. I have heard the same Melanie.. In my experience.. as posted on another post... I have had 2 other chows. Grizz lived to be 14. Thor lived to be 15. I've read before the average age of a Chow is 12, my vet tells me she has seen many chows older than that and 15 is not that uncommon. Dakota's 13.5 so I'm hoping for at least 15. Well like you said the average for a chow being between 12 -15 years of age. The oldest I've ever heard a chow being was 16 years of age. However, the oldest dog to live was 29, it was an Australian Shepherd. It had to be put to sleep because of some hereditary disease. If my memory serves me correct, it was due to hip displacia(ck sp). Our chow Sabbi was 16 when we had to put her to sleep. I have always heard 12/13 but have seen alot of Chows 15.I met some people that had a 16 year old Chow, he was alert in the mind and eyes but his body was pretty much gone he had breathing problems, lungs, kidney problems and couldn't get up on his own. the people were really having a hard time with the whole situation, they were having him put to sleep the following day at the Vets, I told them about having the Vet come to the house they seemed to like that idea better. I'm hoping Pekoe will at least make it to 12 or 13, if it wern't for the cancer I think she could go beyond that. Whats with all the death talk today, There is a prayer section going on, a Cat in poor health in another, A Chow in poor health, some of us are living day to day hoping for more days, boy what a depressing crowd, Cheer up its friday we have the whole weekend to spend with our Chows, Cats and dogs, you Know no mater what health condition they may have, they will always make sure we are smiling. Good post Jeff. It's something we all have to face as chow owners... pet owners for that matter. Thank goodness for the time (no matter the amount) that we have with them and the many smiles and amount of love that we get from them. Almost everyone of the furkids on this site has had one battle or another to fight (health or otherwise)... and we have each been priviliged to be able to be with them through it. Well, 12-15 years sounds more reasonable as far as what really happens. I'm always glad to hear of those who live longer! I fully expect Kylee to push the upper boundaries, of course. I was rather appalled when they were discussing (on the other list) how young some of their dogs died. Some of the breeders thought it typical for their chows to be gone by the age of ten. That makes NO sense to me! 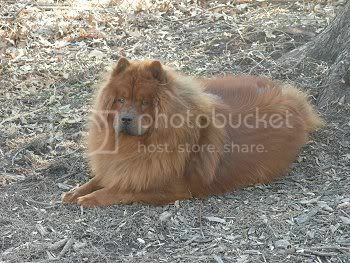 The chow is not a huge breed and personally I think people should take longevity of lines in account when breeding. It's quite the testament to the great care all of you give your dogs to have them well into their senior years. I hope Willow will be with me just as long. At one point, I was driving myself crazy worrying about her getting sick or what would happen to me if she did die. Now, I'm trying to put all that out of my mind and enjoy every moment I've got. When Sasha was alive, I had always heard 7-10 years life expectancy for a chow. But that was a long time ago. After getting Koda, coming here and research, I am learning the life expectancy to be much longer... especially doing things the right way. I am looking forward to alot of years with Koda and Molly. Re: "You just don't see that many dogs in their upper teen years." Oldest Chow I've encountered was approaching 20. Owned by a Chinese herbal medicine practitioner, and fed a home-cooked, fish based diet. kiwani wrote: Re: "You just don't see that many dogs in their upper teen years." WOW. Kiwani, what kind of shape physically and mentally was that chow in? Re: "WOW. Kiwani, what kind of shape physically and mentally was that chow in?" He was obviously elderly, walking slowly, but not decrepit. He was the first cream Chow I've met, a smaller size, and he still had a plush coat and beautiful mane. His eyes showed that he was still mentally alert and interested in the attention. He didn't come from American bloodlines, but from within the Asian community. I'd love to get that recipe! Me too please. My Chewy is about 14 and has 3 legs! I would love to know what the Chow Chow eats?